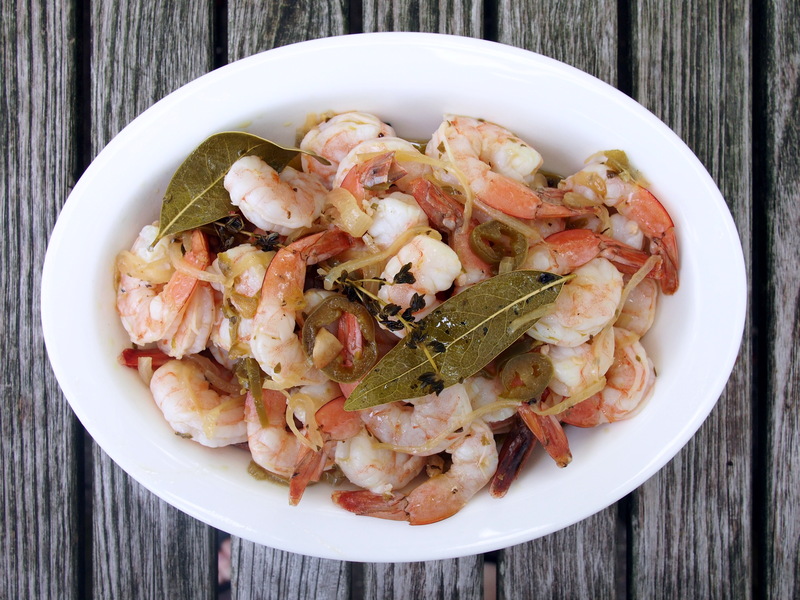 Escabeche is the likely great grand daddy of American pickled shrimp. It’s believed that the name was taken from Persian al-sikbaj, a dish described in medieval recipes as a stew of lamb simmered in vinegar and spices. Food writers also report a 13th century recipe for “fish sikbaj-style” – fish first fried and then marinated (virtually pickled) in vinegar and celery leaf. From Persia the dish spread with the Moors, an Arab people from North Africa who called it scabetche, when they occupied Spain and Portugal for 800 years beginning in the 8th century AD. 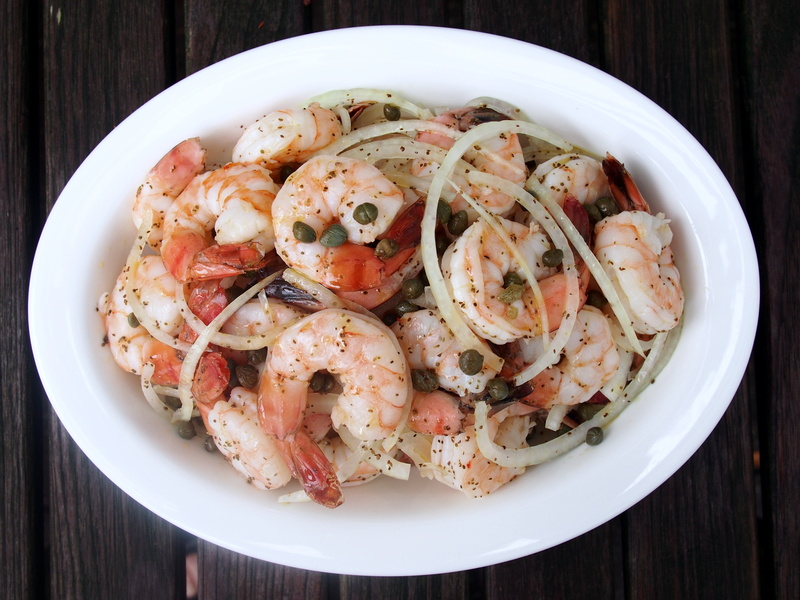 In Spain it became escabeche and, since the Christian Spanish needed meatless dishes for fast days and other religious holidays, seafood became more popular than lamb versions of the dish. Catalans from northeastern Spain introduced it to southern Italy, where is is known as scapece, and to Greece, where it is savoro. It traveled with Spanish explorers throughout the western nations of Latin America and as far east as the Phillipines. 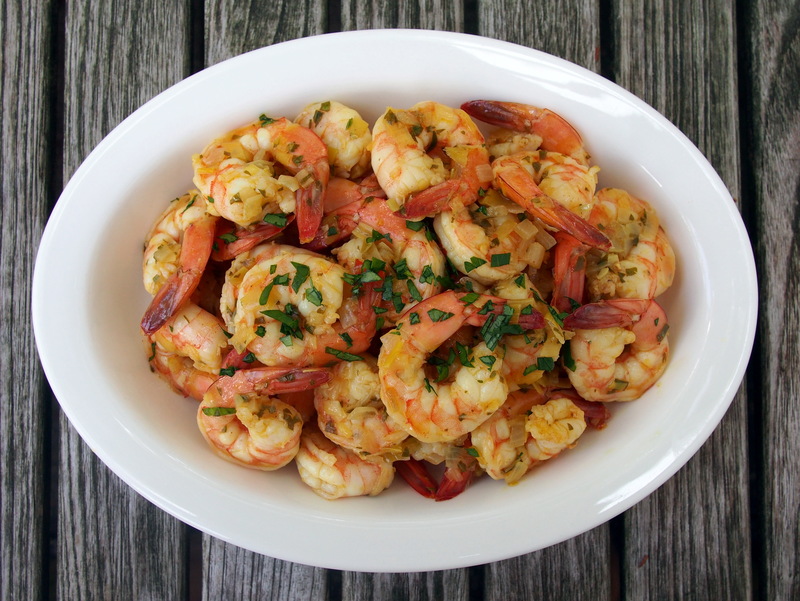 When the Spanish left Mexico, their oil, citrus and Middle Eastern spices, including cumin, remained behind and became central to Mexican cooking (If you look at a can of jalapenos in your supermarket, you’ll probably see the words en escabeche on the label). In Jamaica, escoveech is a breakfast treat of fish marinated in vinegar, onions, chayote, carrots and Scotch bonnet chiles. 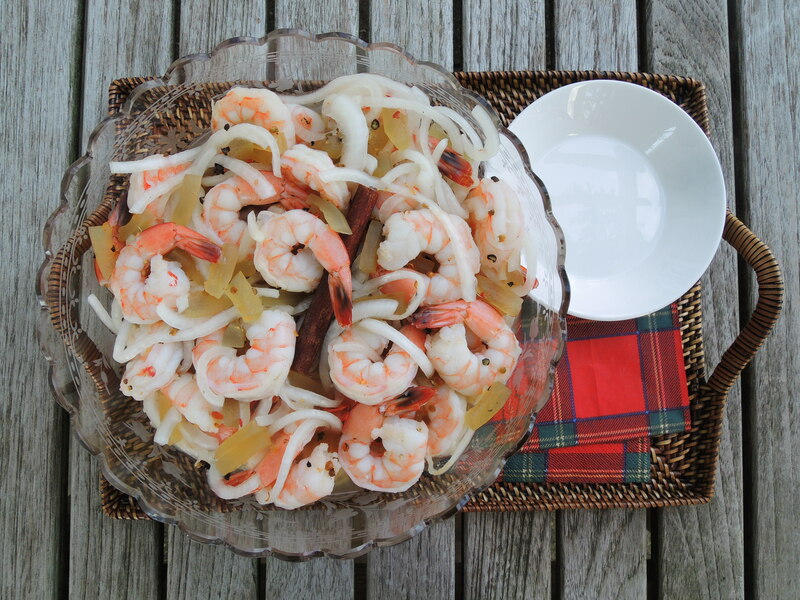 And, courtesy either of the Caribbean or Mexico, escabeche eventually migrated to America where it became pickled shrimp, one of the distinctive flavors of a lowcountry summer. First a conserve that could be stored at room temperature, it was literally a pickle, pungent with vinegar and spices, that was eaten as a relish or a condiment, not an appetizer. 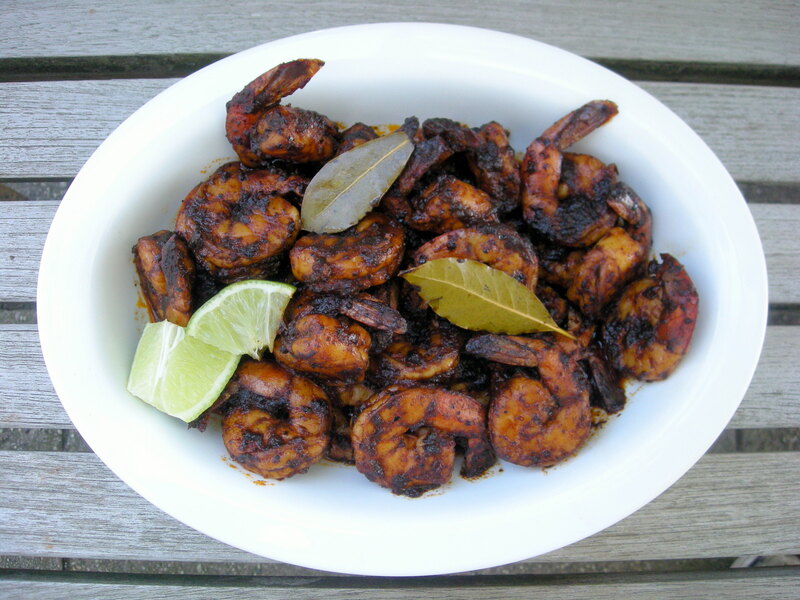 After the advent of refrigeration, pickling was less to preserve than to flavor the shrimp, creating a modern hors d’oeuvre alternative to shrimp cocktail. 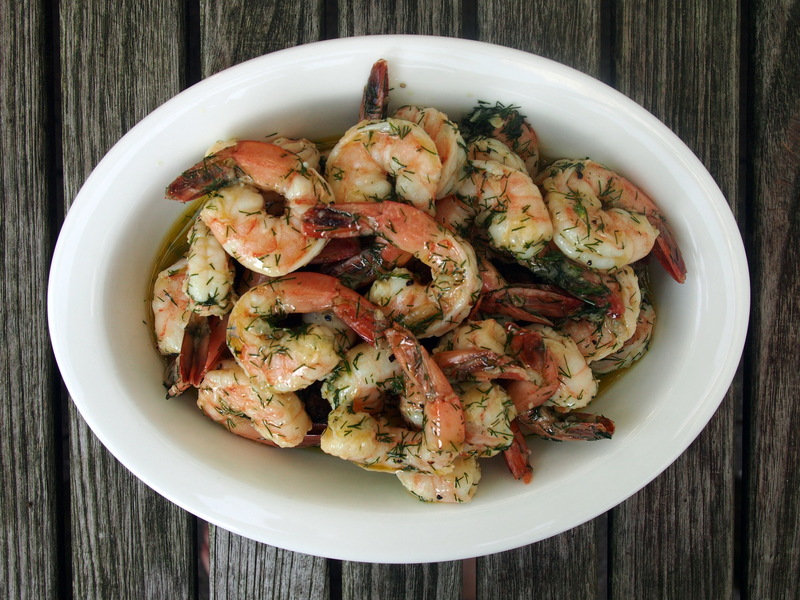 Occasionally, pickled shrimp are tossed in olive oil and served on greens as a first course at sit down dinners or as a light summer luncheon or supper entree.